Slick marketeers, snake-oil salesmen, racketeers, office assistants… Some lawyers believe marketing is not a valid profession or discipline. That’s B.S. Legal marketers are misunderstood at best and completely maligned at worst. 1. Many law firm leaders lack business background: The majority of leaders of law firms aren’t trained to be leaders, they are trained to be lawyers, and most likely were promoted up because they were great lawyers, but this does not necessarily transcend into the business aspects of running a firm. Kevin McKeown’s article, Mindset Matters: Lawyers Who Lead are Receptive to Change spotlights this issue. Some law schools are now offering a JD/MBA dual degree program, which shows the understanding that a doctor of law does not equate to a true business professional—both require a unique skill set and education. Without a deep understanding of business, law firm leaders often view marketing as fluff, pointless overhead, or just the people who order the letterhead and do that Twitter thing. Effective marketing teams need the support and coordination of the entire law firm. Living the brand values, generating revenue and building relationships with potential clients needs to be everyone’s job. 2. Getting hung up on the words: There’s a difference in lexicon between law firms and other professional services companies and the rest of the world. Tech companies and other B2B marketing organizations talk in terms of leads, demand generation, MQLs and SQLs, sales teams, and ROI. It can be difficult for law firms to think of potential clients as “leads,” and it can appear unseemly to run marketing campaigns to scoop up these potential clients, but with a market over-saturated with high-priced lawyers and clients demanding more efficiency, everyone needs to get over this and take advantage of the marketing discipline and expertise even if the words put you off. 3. It’s all about the money: That’s marketing budget money to be specific. Law firm marketing budgets on average “range from 2.8 percent to 2.4 percent of gross revenues.” Compared to the rest of the world, the average ratio for companies earning less than $250 million in revenue is 9.1 percent, per IDC. Without proper funding, marketing teams aren’t resourced to make a big impact. This becomes a self-fulfilling prophecy. Law firm leaders don’t understand or believe in marketing, so don’t fund appropriately. And, guess what? They can’t do much with that two percent of gross revenue, so the leaders are proven right. The best way to develop a marketing budget is to treat that budget as if it’s an investment—something that delivers an expected, quantified return over time. 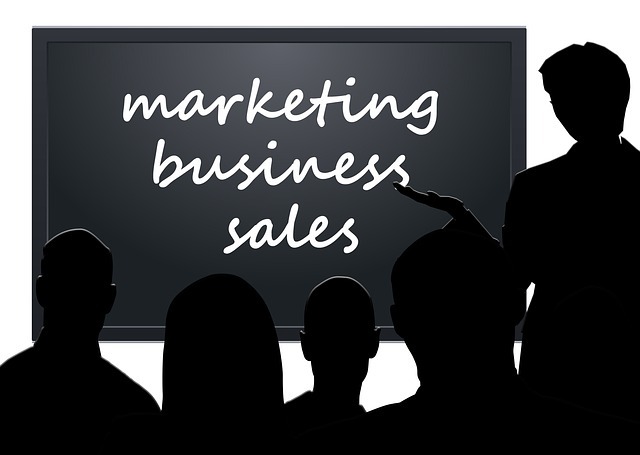 Often law firms see the marketing budget-line as merely overhead—something easily shaved. But when that expenditure is viewed as an investment rather than just an expense, it changes how the team is viewed and gives marketers an opportunity to prove ROI on their activities. The role of marketing is to reach a broader audience for a lower cost than the individual lawyer can drum up via business development efforts. The marketing team can help stay in touch with potential clients and provide them with information and content that will keep the firm top of mind when services are required. This leaves the lawyer free to focus on the high-value individual client interactions that drive revenue for the firm. This is a tandem operation, the more you work together, the better the results. 4. Marketers need to get up to speed: Don’t use this article as an excuse. It’s not all about leadership holding you back—you need to modernize your priorities. Stop spending time on press releases and 50-page brochures that no one will read. All of that matters little if a prospect does a Google search on the lawyer that turns up nada. Online visibility is essential for your lawyers, and not just on your firm website. To be found online, lawyers need to regularly contribute content that gets read and shared. A great way to do this and demonstrate subject matter expertise online is by blogging. A great example is Stites & Harbison’s excellent blog, Trademarkology, which demonstrates their passion, wit, and absolute command of the topic of trademarks. Social media can also be wielded much more easily than a static website or glossy brochure and serves as amplification and sharing tools for blog posts. 5. Data: Really, the heavens should open up and light should shine down illuminating this golden word while harps play an inspirational tune. Without it, you’re left with weak explanations of how a full-page ad in X-Industry Weekly is worth it because it builds brand recognition and puts your firm top-of-mind. It sounds flim-flammy, and it is because you just don’t have anything to back it up. This is the stuff that fuels the “marketeer” maligner’s poison pens. Not anymore. Tools are available that track the efficacy of everything you do. Marketing automation software allows you to track absolutely everything, including that url at the bottom of your full-page ad in X-Industry Weekly. If that ad drives people to your website, or drives people to your blog, then to your events page, then to your practice areas page—you’ll know it all. So the next time you report on your marketing activities, it’s with charts, graphs, and numbers backing you up. A concerted, aligned effort between law firm leadership and legal marketing teams is required to start moving law firms forward. With the legal market shrinking and getting more competitive, marketing is more important than ever. Law firm leaders must understand that marketing is a discipline, and one they may not fully understand, but trusting and respecting the professionals who do this job is the first step toward driving your firm’s continued success.